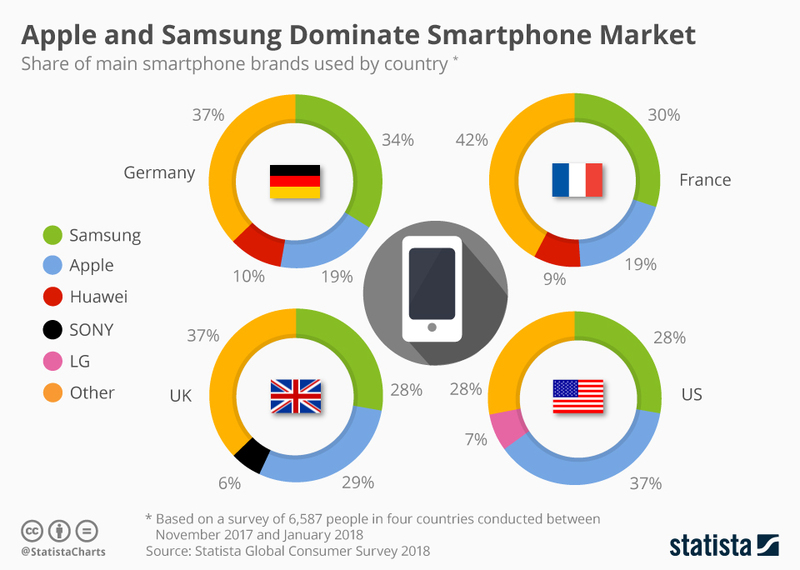 Samsung and Apple are competing neck to neck with each other to capture the maximum market share in key western countries. Both companies share almost half of the European and American market, followed by Chinese notable brand Huawei. Samsung beats Apple in global market share, as Samsung target every segment of the society unlike Apple which focuses on high end smartphone. Though, Huawei is covering the lead at very fast pace globally. The overall global market share of Huawei increased from 4.9 percent to 15.8 percent in the last four years. However, they have to do a lot of to compete with Apple and Samsung in western countries.